Hey guys! Teresa here today! And here are some pics of my TN set up! All ready for December. This kit was so fun to play with! 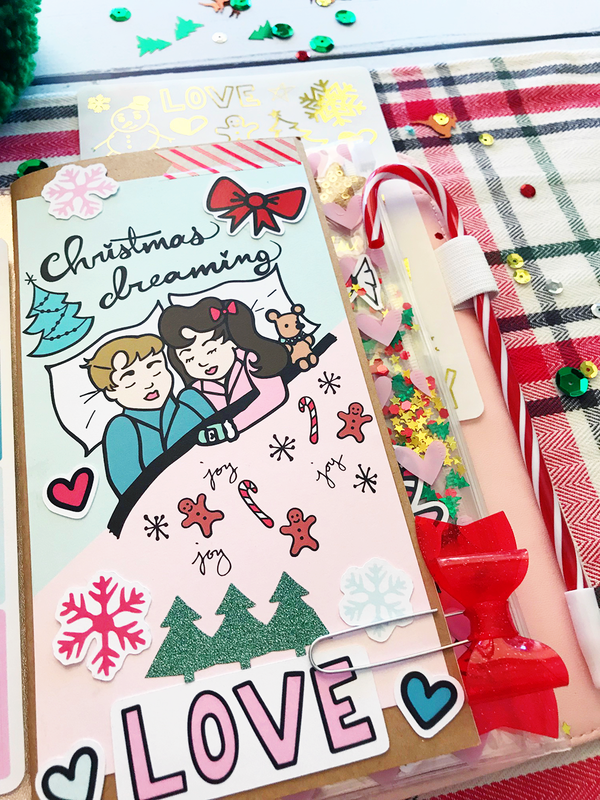 I like to think that’s my husband and I dreaming of Christmas, I love all the pastel colors mixed with the reds and greens! Let’s start with how many die cuts you get in this kit! And the adorable buttons! Which I turn into paperclips! The signature Deer which is in almost all the kits! I love her! Up close of the dashboard I glued down on my notebook. This kit is perfect for Xmas! You get two sheets of stickers, buttons and die cuts galore! 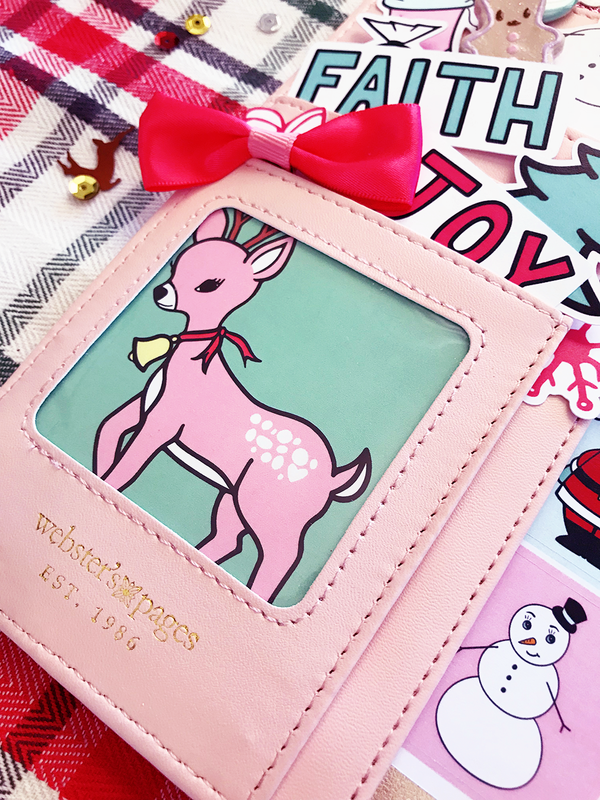 And so much cute scrapbook paper and adorable dashboards for your planner!